- NJPW Sumo Hall (August 2, '87) = The Warlord pinned George Takano. - WCW Bunkhouse Stampede (January 24, '88) = The Warlord lost a "Steel Cage Bunkhouse Stampede" Match to Dusty Rhodes. The other participants were the Barbarian, Arn Anderson, Tully Blanchard, Ivan Koloff, Lex Luger and Road Warrior Animal. - WCW Clash of the Champions I (March 27, '88) = The Powers of Pain (Warlord & the Barbarian) & Ivan Koloff lost a "Barbed Wire" Match to Dusty Rhodes & the Road Warriors. - WWF Wrestlefest '88 (July 31) = The Powers of Pain took down the Russians. - WWF Summerslam '88 (August 29) = The Powers of Pain defeated the Russians. - WWF Survivor Series '88 (November 24) = The Powers of Pain, the Young Stallions, the Hart Foundation, the British Bulldogs & the Rockers competed in a "Tag-Team Elimination" Match against Demolition, the Brain Busters, the Bolsheviks, the Fabulous Rougeaus & the Conquistadors. The Powers of Pain were the 'survivors'. - WWF Royal Rumble '89 (January 15) = The Warlord competed in the Royal Rumble, which was won by John Studd. - WWF Wrestlemania V (April 2, '89) = The Powers of Pain & Mr. Fuji lost a "Handicap" Match to the WWF Tag Champs, Demolition. - WWF Survivor Series '89 (November 23, '89) = The Powers of Pain, Ted DiBiase & Zeus fought in an "Elimination" Match against Hulk Hogan, Jake Roberts & Demolition. The Powers of Pain were disqualified. Hogan was the sole 'survivor'. - WWF Royal Rumble '90 (January 21) = The Warlord competed in the Royal Rumble, which was won by Hulk Hogan. - WWF Summerslam '90 (August 27) = The Warlord took down Tito Santana. - WWF Survivor Series '90 (November 22) = The Warlord, Rick Martel & Power & Glory fought in an "Elimination" Match against Jake Roberts, Jimmy Snuka & the Rockers. The Warlord's entire team 'survived'. Later on, the Warlord, Martel, Power & Glory & Ted DiBiase fought in a "Survivor's Elimination" Match against Hulk Hogan, Tito Santana & the Ultimate Warrior. The Warlord was eliminated by Santana. 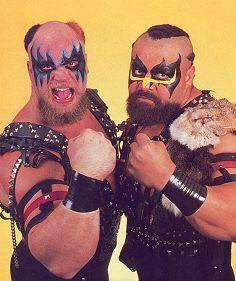 Hogan & the Warrior 'survived'. - WWF Royal Rumble '91 (January 19) = The Warlord competed in the Royal Rumble, which was won by Hulk Hogan. - WWF Wrestlemania VII (March 24, '91) = The Warlord was beaten by Davey Boy Smith. 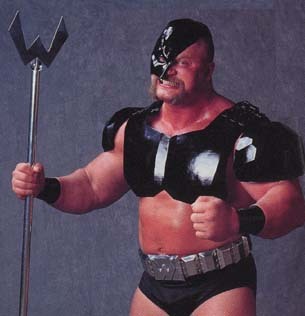 - WWF Saturday Night's Main Event #29 (April 15, '91) = The Warlord competed in a "Battle Royal", which was won by Mr. Perfect. 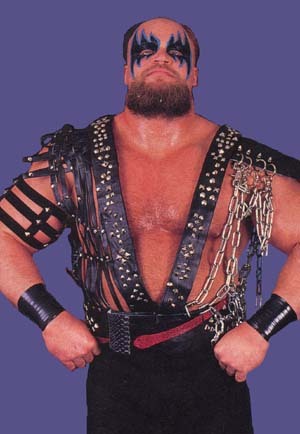 - WWF UK Rampage '91 (April 24) = The Warlord was lost to Jim Neidhart. - WWF Summerslam '91 (August 26) = The Warlord & Power & Glory fell to Davey Boy Smith, Ricky Steamboat & Kerry von Erich. - WWF At The Omni (October 13, '91) = The Warlord was pinned by Bret Hart. - WWF Survivor Series '91 (November 28) = The Warlord, Ric Flair, Ted DiBiase & the Mountie fought in an "Elimination" Match against Roddy Piper, Bret Hart, Davey Boy Smith & Virgil. The Warlord was eliminated by Piper. Flair was the sole 'survivor'. - WWF Tuesday in Texas (December 3, '91) = The Warlord fell to Davey Boy Smith. - WWF Royal Rumble '92 (January 19) = The Warlord competed in the Royal Rumble, which was won by Ric Flair. 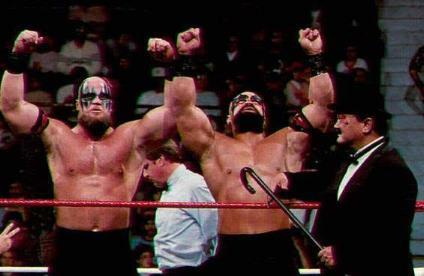 - WWC 20th Anniversary Show (August 8, '93) = The Warlord & Mr. Hughes lost to the Bushwhackers. - ECW Morrisville High School (October 22, '93) = The Warlord was beaten by Jimmy Snuka. Later that night, the Warlord won a "Battle Royal". - WAR Sumo Hall (December 15, '93) = The Warlord was beaten by John Tenta. - WAR Sumo Hall (July 17, '94) = The Warlord, Lionheart & Vampiro Canadienese fell to Genichiro Tenryu, Atsushi Onita & Bam Bam Bigelow. - UWF Blackjack Brawl (September 24, '94) = The Warlord & Power Warrior were beaten by the Killer Bees, who became the first-ever UWF Tag Champs. - AWF Heavyweight Title Tournament (November '94) = The Warlord fell in the first round to Chris Adams. Tito Santana won the tournament. - Wrestle Reunion #1 (January 29, '05) = The Warlord competed in the "IWA Heavyweight Title Battle Royal", which was won by Greg Valentine. - AWF Tag-Team Title Tournament (May '95) = The Warlord & Jeff Gaylord fought to a Double Disqualification with Curtis Hughes & Hercules Hernandez. Tommy Rich & Greg Valentine won the tournament. - PWG Kurt Russellreunion 2: The Reunioning (January 29, '11) = The Warlord competed in the "Legends Wrestle-Royale" Match, which was won by Roddy Piper.